New accessible entrance; no mean feat! Thorough renovations provide a fully accessible and updated building that preserves the historical integrity of the original 19th century structure while greatly improving the programs it houses. Accommodating a nursery school, civic association and historical commission offices, a large dining hall for senior dinners and children's lunches, and yoga studio and gym, this structure has been transformed into a focal point of Beacon Hill life. The historic building housing this school was originally constructed in 1861 as a police station, and served as the home for three non-profit community groups for over 50 years. A desire to expand the nursery school to include a toddler classroom necessitated a full renovation of the building. The re-design of the school and playground addressed significant deferred maintenance issues and brought the building into compliance with current codes. A new accessible entrance was carefully negotiated with the Massachusetts Architectural Access Board and the Beacon Hill Historic Commission and was cleverly inserted to take advantage of the steep grade on Joy Street. 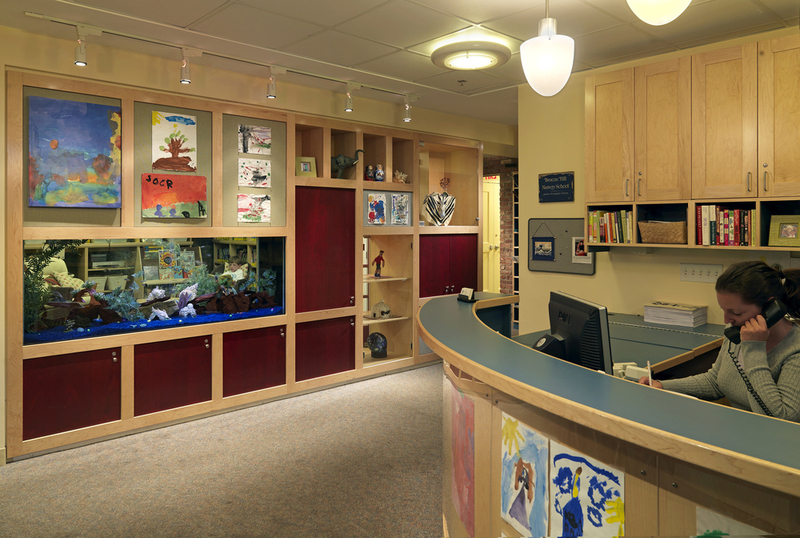 D.W. Arthur Associates worked closely with the many stakeholders for over three years to create an environment that fully supports the various programs and enabled the school and community center to expand their mission. Much like the other “hidden gardens” of Beacon Hill, the playgrounds were designed as a green oasis within the dense urban fabric. A range of customized play elements provides a variety of experiences, situated amongst shade trees and positioned directly adjacent to the classrooms.